With Forza 4 already launched in the US and arriving here tomorrow, if you are still undecided as to whether to make the plunge. 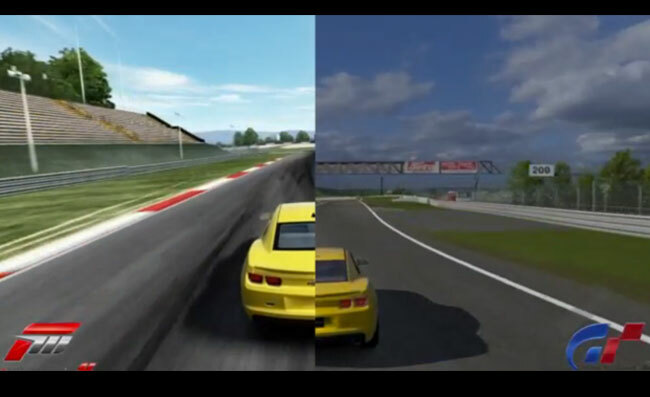 A great video has been put together with compares the two great driving games Forza 4 and GT5 side-by-side. The video has been created by GameTrailers and provides a good comparison between the two games sound the differences in graphics, sound and motion. Check it out after the jump and let us know your thoughts on which you think is better in the comments below. Just before the launch of Forza 4, GT5 received a huge update called Spec 2.0, together with some optional DLC packs to add even more cars and tracks to the game. You can check out full details of the new GT5 Spec 2.0 update on our earlier post, together with a video of the game intro after the update has been applied.